In North Africa, he who controls the guns, controls the country. people through a crisis that is tearing their world apart? 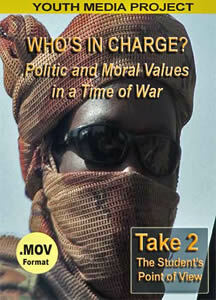 General DVD with 2.10 hours of digital footage of general life in Sudan. Transcripts of four interviews translated into English. Meet the Sultan. As the Sudanese refugees stream across the border into Eastern Chad, they unwittingly bring with them the conflicts that have torn apart their own society. The Sultan – the King of Eastern Chad – is faced with the task of resolving these disputes and maintaining the moral values in his sphere of influence. He inherited the role from his father, and though he has immense credibility among his subjects, he is often in conflict with Chad’s political bureaucracy because he opposes the government's views on guns and violence. In North Africa, he who controls the military, controls the country. What happens to a culture where multiple and often incompatible systems exist side by side? What kinds of conflicts arise? How do they get resolved? What happens to women in a community where all discussion and decisions are controlled by men? What happens to a culture with a basic acceptance of violence and corruption? How can they move into the future with a resigned acceptance of the status quo? 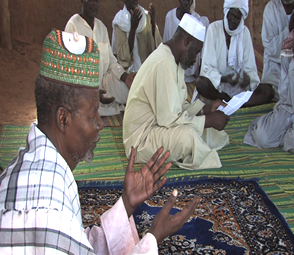 Students will examine the values that underlie the Sudanese/Chadian culture through the lens of the Chadian villagers unwillingly caught up in the struggle, the Sudanese refugees who live in the camps themselves, and the Sultan who uses his wisdom and experience to try to find resolutions to the ongoing conflicts. Teaching Unit Overview: What is power? Who has it? How was it obtained? How are governments created, structured, maintained, and changed? Whose value systems are used to shape and define any form of governance? How are individual rights defined within a system? Who holds governance over those rights? These questions are at the heart of any study of civic responsibility. 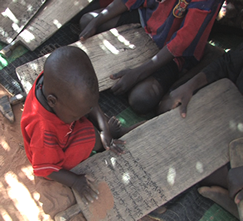 Students will study the persistent issues and social problems within a Chadian community and a Sudanese refugee camp. They will examine the cultural beliefs and values that guide the political leaders and the military.